The Greater Bay Area youth drone competition kicked off on March 13 in Shenzhen's Luohu Foreign Language School with a launch ceremony and a science and technology carnival. Nine cities in Guangdong province will take part in this competition along with participants from the Guangdong-Hong Kong-Macau Greater Bay Area. Wang Dong, an official with the Shenzhen Association for Science and Technology, and Shi Xingzhong, chairman of the Luohu Association for Science and Technology attended the event together with delegations from the nine cities. The competition is co-organized by relevant parties in Guangdong and Hong Kong. Delegations from both places as well as from Macau will take part in it. A qualification trial involving teams from nine cities in Guangdong will be held in Luohu from March to April. The best participants will then proceed to the finals, which will be held in Hong Kong. A total of 192 students from Shenzhen, 48 of whom are from Luohu, applied to take part in the qualification trial in Luohu. The competition consists of three parts that need to be accomplished by drones: shooting video, performing tasks and a science and technology carnival of smart cities . Luohu encourages its young people to take part in different science and technology competitions and its youth have achieved good results in some of these contests. Past competitions included building vehicle models, space flight and aviation models as well as marine models. In the last three years, Luohu won seven gold medals, four silver and six bronze in national youth contests. The drone competition is expected to become a platform for youth exchange and interaction in South China's Greater Bay Area and Luohu will host the finals for next year's competition. 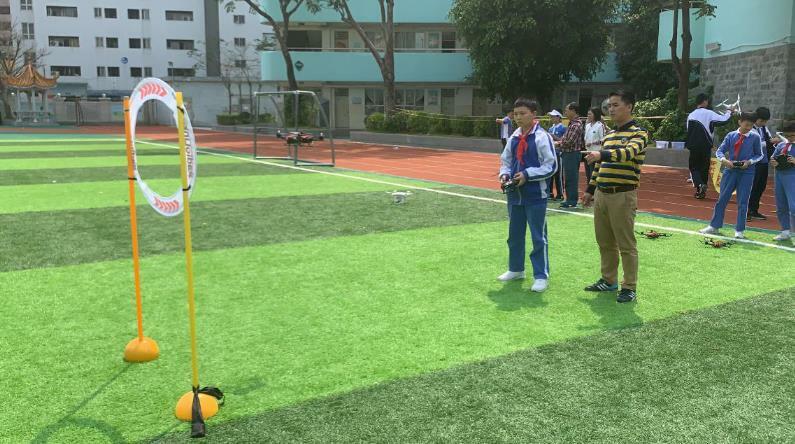 The Greater Bay Area youth drone competition kicked off on March 13 in Shenzhen's Luohu Foreign Language School with a launch ceremony and a science and technology carnival.